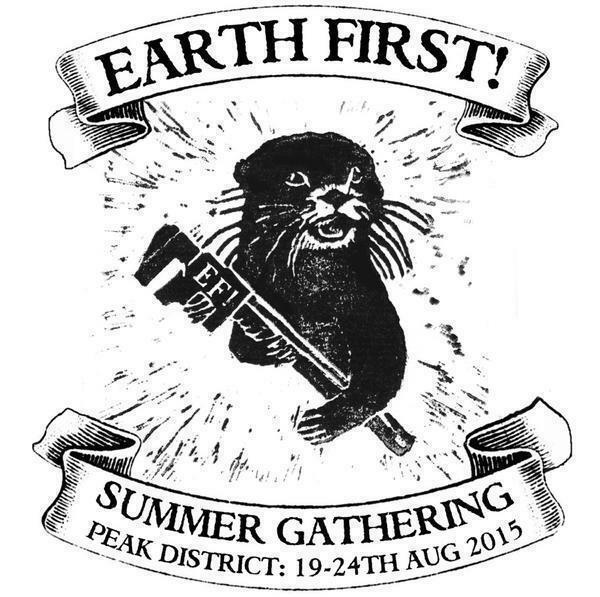 Don’t miss this year’s Earth First Summer Gathering in the UK. 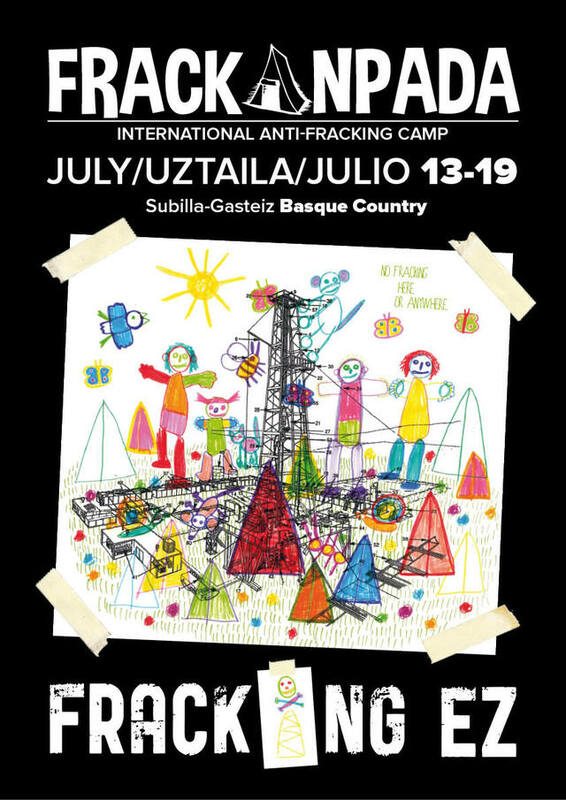 Five days of skill sharing for grassroots ecological direct action – make links, share ideas and get involved in the struggles against fracking, new roads and more. Get to the site on the 12th March at midday. The date for the full eviction attempt. Visit & stay at Yorkley Court. Every day is unpredictable. 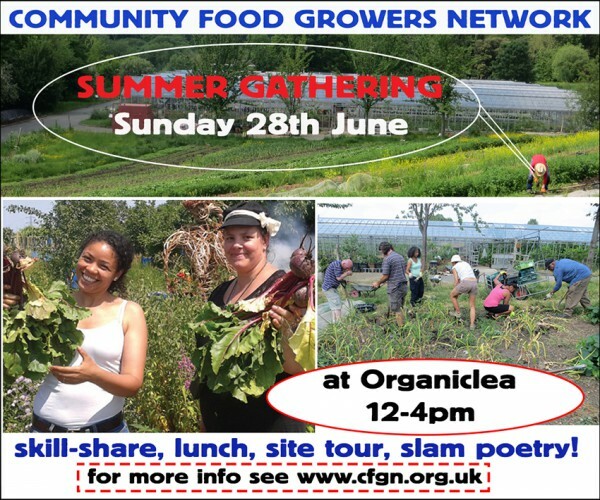 There are many practical jobs, from building to cooking, even just making cups of tea & listening is a very welcomed thing! 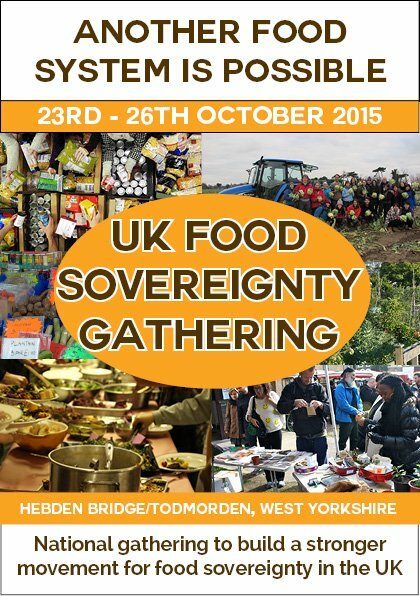 Bring sensible clothes, sleeping stuff and tents. If you need financial support to be able to visit please email yorkleycourt@gmail.com – we really appreciate all visitors & will do our best to cover your costs if needed. You are welcome to interact with the emerging situations in anyway you feel comfortable (in terms of resisting eviction & securing the site). 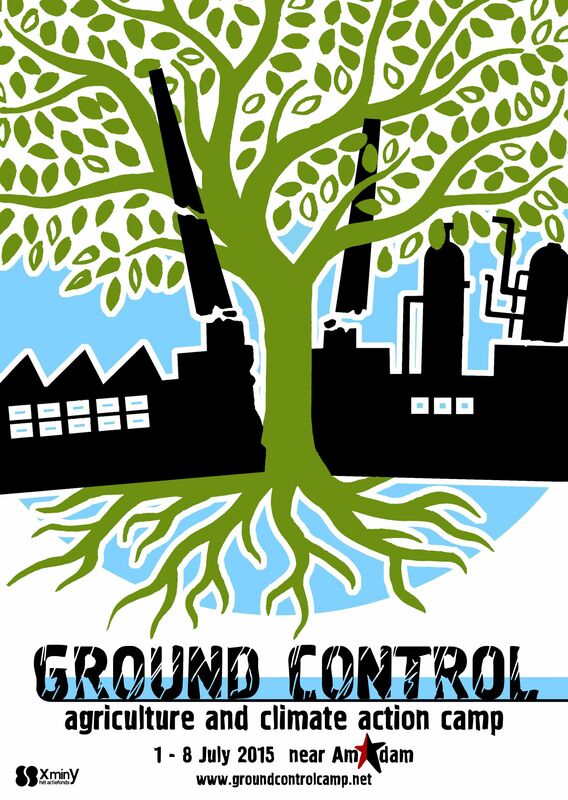 We reject problematic divisions of labour. All support is appreciated. 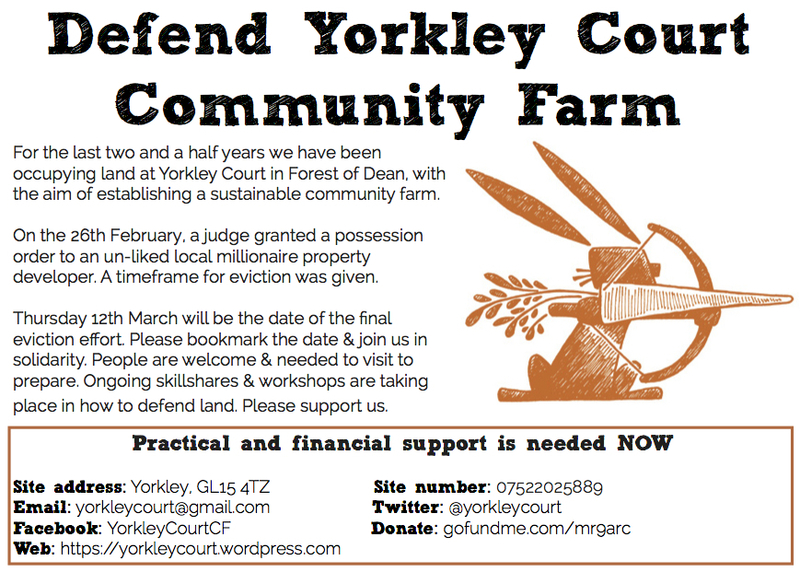 WE CAN DEFEND YORKLEY COURT COMMUNITY FARM!